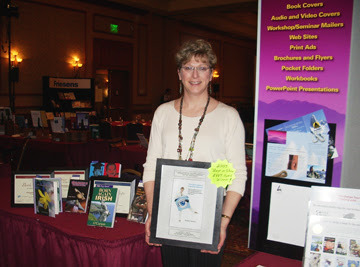 Friday, March 23, 2007 was the 13th Colorado Independent Publishers Association CIPA EVVY book awards banquet. After many years of celebrating with my clients with their EVVY award winning books, I had the opportunity as an author and publisher to enter my own book, Turn Eye Appeal into Buy Appeal. I was thrilled to receive first place in the “How To” category. Shown below is the cover of my award-winning book. This year CIPA introduced the Technical Awards to recognize associate members for their contribution in book production. These awards go to editors, graphic designers, printers and illustrators. 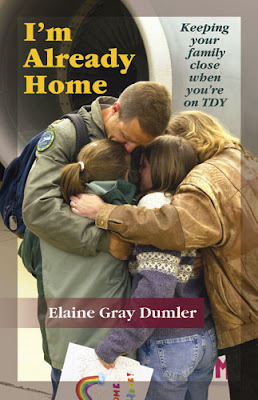 I was thrilled to receive a first place for cover design for I’m Already Home by Elaine Gray Dumler, and a second place for cover design of my book, Turn Eye Appeal into Buy Appeal. 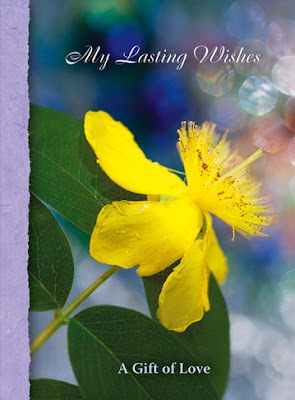 Then I was delighted to receive a first place for book design for Turn Eye Appeal into Buy Appeal and a second place for book design for My Lasting Wishes by Peggy Lowes. I gave a special thank you to Joyce Jay who was the photographer. Her work is always exceptional. It was amazing to receive four tech awards! I needed my dear friend and coach, Judy Sabah to help me carry them home. My book was the “Best in Show Winner at the CIPA EVVY book awards! 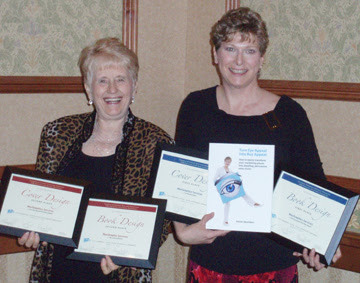 I was overwhelmed to hear that Turn Eye Appeal into Buy Appeal was the highest scoring book in the whole competition! WOW, what an honor. I give a special thank you to Barbara McNichol for an outstanding job of editing my book. Several other books that my team had a part in also won first place awards. 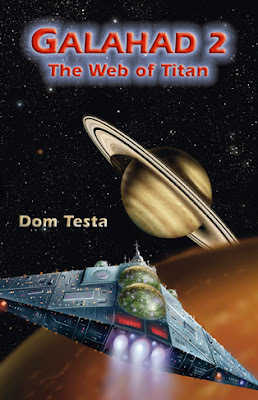 Dom Testa’s book, Galahad 2 won a first place in juvenile category. I designed the cover. This is Dom’s second award-winning book. 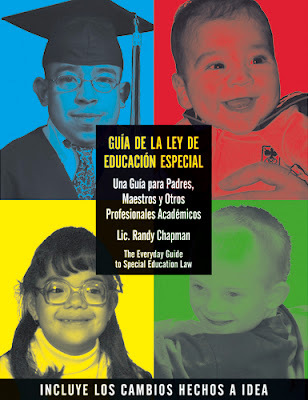 Randy Chapman’s book, Guia De La Ley De Educacion Especial won a first place in Parenting/Family category. My associate, Kerrie Lian and I designed the book interior and cover. 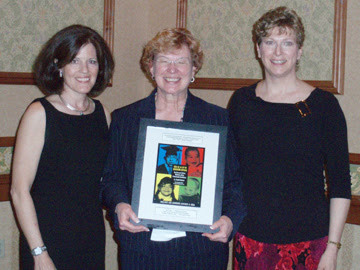 Shown below with me is Kerrie and Mary Anne Harvey of The Legal Center, who accepted the award for Randy. 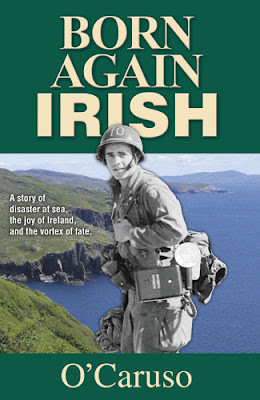 Fred Caruso’s book, Born Again Irish also won a first place in the Autobiography/Memoir category. I designed his cover. Congratulations to everyone! It truly was an amazing evening for me. I always enjoy working with members of the CIPA community, doing my part to help them realize their dreams. I am grateful for the privilege of being part of their publishing teams.